How long have you been running what made you take it up: I took up running in 2012, I had called a day playing GAA and my brother Jonathan took me out for a run as I was getting lazy, I haven’t looked back since. 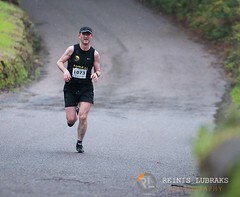 Favourite thing about running: I love the fact you can run anytime, anywhere and in any conditions. Favourite race distance to run: 5k would be my favourite distance at the moment. 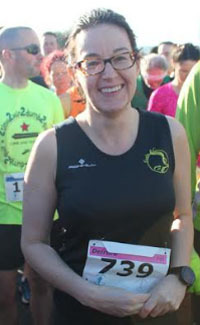 What is your main goal for this year: My main goal is to improve my times in all distances below half marathon. 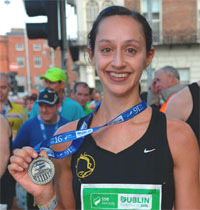 Your best race/most memorable racing moment to date: I have 2, my 1st marathon in Barcelona, a great race and a great weekend away, but Dublin 2016 will always be my favourite, I ran it with my brother Jonathan with the goal of getting him under 4 hours. There were great memories throughout the whole 3.55hours, crossing the line with him will always make me smile. 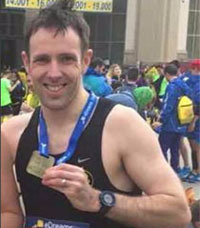 Tell us something most people might not know about you: I didn’t want to do a marathon until I was 40, when I signed up for the Barcelona marathon I thought I was signing up for a half, had the flights paid for before I realised it actually the full. Oops. 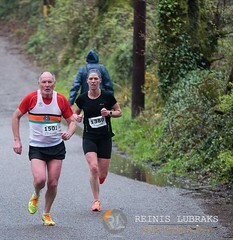 Biggest heroes (sporting or non-sporting): Has to be my Dad, he is the reason I wanted to keep improving my times as I wanted to try and beat his times from his running days. 3 things you would take with you onto a desert island: A team of Boeing engineers, an airport, a pilot. Not yet having the means to leave the island, I would use the materials on the island, and they would design and build my plane and then the pilot would fly us away, since it has an airport now, I’d sell the property to whoever will pay the highest price. 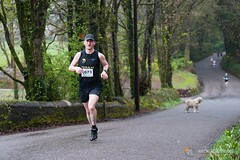 Great run by Michael O Connor in the 5k in Glanmire well done. 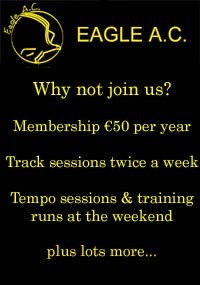 Well done to Club members running on the night. 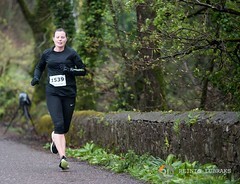 Congratulations to Monica our only representative in the Ardmore 5 mile race. 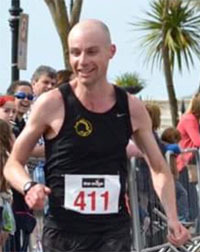 Well done to John Dunphy who won the Castle Demense Parkrun on Saturday! Another Eagle victory in Castlehaven where Ciaran Bouse claimed top spot! 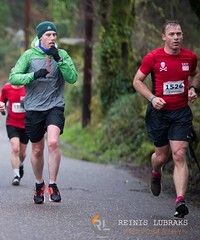 The inaugural Surf, Turf ‘n’ Tar Half-Marathon 10k in Rosscarbery was held on Saturday the 20th of May 2017 and it got a big turnout of 417 runners. The 2 courses took in beaches, dunes, fields, gardens, trails, cliff walks even some roads. In the Half-Marathon, there were 160 finishers while there were 257 in the 10k. 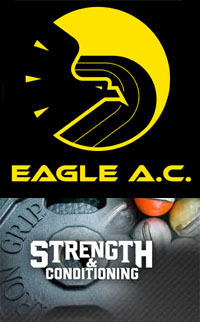 Well done to all Eagles who took part, with special mention to Paul Cotter who was 1st M40 in the 10K and 4th overall. 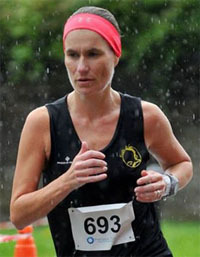 Well done to club member Grace O Leary who was running among the windmills in the historic town Leiden, in Holland over the weekend. Fun fact of the day… Leiden is where Rembrandt was born! Great running by Grace on what was a hot day. 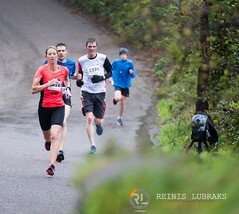 A total of 318 people took part in the 3rd annual Blackwater 10 mile road race in Clondulane near Fermoy. 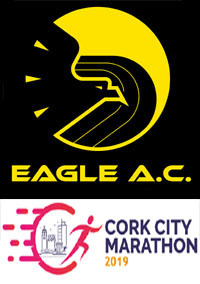 No clubs were listed but the following 3 Eagles were spotted in the results, well done to all and congratulations to Tom Fox on his win in the M50 category in a fine time of 01:05:26. 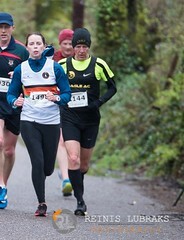 The Cork Bhaa Pfizers 6 Mile Road Race took place on last Wednesday 10th May, with 402 runners taking part. As you can see below, there were lots of Eagles in the category prizes! Well done to all members who ran on the night. 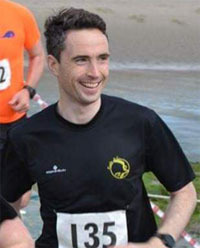 Well done to Ruairi O’Callaghan who won this weeks Ballincollig Parkrun on his first time in the race! 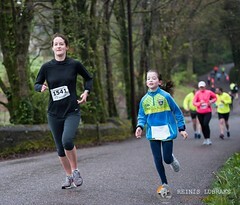 The Bay run took place in Bantry last Sunday, May 14th. There was a half-marathon and 10k race. The results don’t list clubs or age categories but the following Eagles were spotted, in prize winning positions. Congratulations to Pat Anne Marie. The 2017 Cork County Masters Track & Field Championships were held in C.I.T. this past Sunday 21st May in parallel with the Senior Track & Field Championships. This made for a larger attendance overall although it also made for a packed timetable. Although conditions were dry, a gusting headwind in the home straight proved challenging for some events. The Eagle AC Cheetah Run in Fota Wildlife Park will take place on Thursday the 18th of May 2017. Please note that entries are now closed and there are no entries on the night. **Guest with wristbands – each runner will be allocated 4 wristbands on registration – runners will need to distribute these to their guests after registration and in advance of the races commencing. 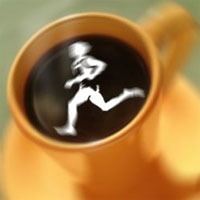 After the race, light refreshments in the form of tea, coffee & biscuits will be available. The results of the race will be on this website on Friday morning.